We are offering a unique opportunity to be a part of our opening team for a new fast-casual restaurant in New York, NY. Our team will focus on providing excellent service and going above and beyond for each individual customer. We are looking for hard-working candidates that are positive, energetic, people-savvy, and those who want to have fun at their job! <br><br>Job Description: The Prep Cook will be expected to prepare food to the exact chef’s specifications and to set up stations for menu, which begins with ensuring that the restaurant atmosphere is clean and friendly. The successful candidate will play a key role in contributing to our customer satisfaction.<br><br>Responsibilities include, but are not limited to:<br><br>●	Prepare food for service.<br>●	Memorize, record, and comprehend menu items, plate appearance and portions for consistency.<br>●	Execute all kitchen orders according to recipe specifications.<br>●	Operate standard kitchen equipment safely and efficiently.<br>●	Coordinate work with other cooks; assist other stations when need arises.<br>●	Adhere to all food safety and quality regulations as well as restaurant policies and procedures.<br>●	Keep refrigerators and storerooms clean and neat. Ensures food and supply items are stored per standards. <br>●	Label and date all food products in storage and refrigeration areas appropriately.<br>●	Store or discard excess food in accordance with safe food-handling procedures. <br>●	Maintain the cleanliness and sanitation of the kitchen including all floors, equipment, workstations and walls.<br>●	Report any safety concerns to management.<br>●	Communicate with other team members in a professional manner regarding customer service.<br>●	Perform all closing duties of the restaurant daily as determined by GM.<br><br>Physical Demands:<br>●	Lift and carry up to 50 lbs.<br>●	Stand for extended periods of time.<br>●	Must be able to work in a confined area with elevated temperatures.<br>●	Continuous bending, reaching, twisting and use of hands and arms.<br><br>Reasonable accommodations may be made to enable individuals with disabilities to perform the essential functions.<br><br>Join The Revolution Against Dry Chicken! ●	Knowledge of weights, measurements, volume and cooking procedures. 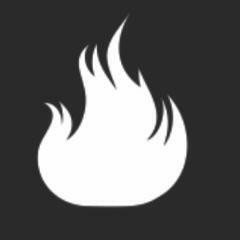 Brine Fire Grilled Chicken is posting their hospitality jobs on Harri.